It has been much too long since my last post, but I think this one is worth the wait. 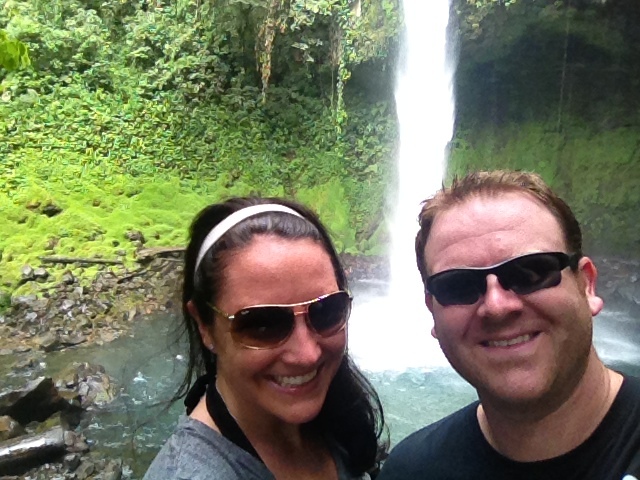 Back in February Mrs. Greenbacks and myself were invited to a wedding in Costa Rica and we gladly attended! 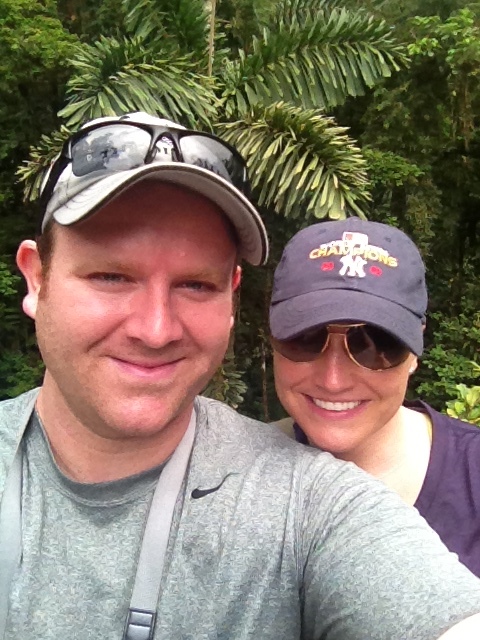 Special shout out to Connie and Dave – Congratulations Again! 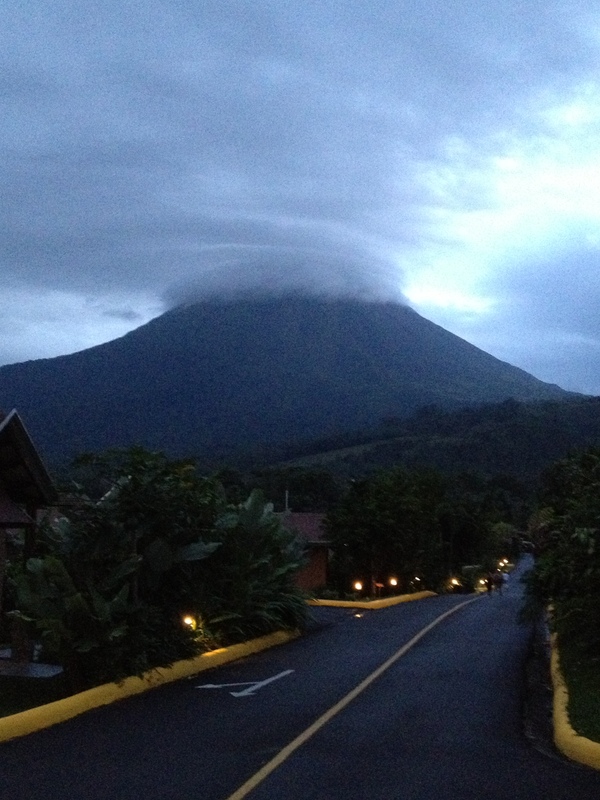 Aside from the beautiful ceremony and spectacular reception, we got to enjoy much of what Costa Rica had to offer – beaches, rainforest and volcano. Costa Rica is at the forefront of promoting sustainable practices in their everyday life and as Mrs. Greenbacks pointed out, one of the 5 “Blue Zones” of the world where people regularly live to be over 100 and generally enjoy better health and less incidence of disease than the rest of the world. Just a few of the common practices that we saw in Costa Rica was composting of all organic materials, low flow faucets and showers as well as automatic shut off switches on the room lights after the key has been removed. A heavy public awareness campaign also goes a long way toward making guest appreciate the natural beauty of the land. On our hanging bridges canopy tour, our guide explained that Costa Rica was well on its way toward meeting its power needs using renewable sources such as hydro, wind, and geothermal. Almost 95% of CR’s power is produced from renewable sources with hydro accounting for a full 75% of the total. Geothermal ranks second due to the areas 5 active volcanos and wind installations have been steadily increasing in recent years. Distributed solar would make a great addition to CR’s renewable energy portfolio and would help to power regions where grid transmission is simply too costly. A recent article called Turning Pristine Public Lands Into Solar Farms in Bloomberg Businessweek highlighted the Obama administrations’ policy of opening federal lands maintained by the Bureau of Land Management and the Department of the Interior to renewable energy projects. The executive powers that Obama is using are similar to the ones that the Bush administration used to bypass Congress and push for oil and gas drilling on those same lands in 2001. Using Ken Salazar, the Secretary of the Interior, Obama has approved more than 37 renewable energy projects on federal lands that will power more than 3.8 million homes. Since taking office, Obama has issued an average of 1,000 fewer drilling leases per year to oil and gas interests. Instead, the administration has green lighted more than 18 other utility-scale solar plant, 7 wind farms, and 9 geothermal facilities. However, certain projects have angered environmentalist groups such as the Sierra Club and the NRDC who feel that some of the projects would be better sited on 80,000 – 285,000 abandoned mine sites on federal lands instead of pristine desert space near treasured national parks such as Joshua Tree in southern California. A coalition called the Western Lands Project is suing the Dept. of the Interior in federal court hoping to have the projects moved to those less desirable, degraded lands. While I am generally skeptical of politicians bypassing Congress to achieve a political goal, I do favor building renewable energy plants on federal lands. I also agree with the Western Lands Project that the Interior should look for better locations for these projects that redevelop sites that have already been ruined by mining operations. Reusing depleted lands and brownfield development would be ideal for PV installation because the land does not have to be cleaned up beforehand and solar PV requires very little maintenance and can be seated on top of the land, not disturbing the contamination. The EPA announced a brownfield redevelopment project called Brightfields that aims to achieve exactly that. As with any major project, land use should be a major factor. This is especially true when using public lands for private development. By identifying sustainable sites that promote redevelopment of tarnished lands, the government can achieve a double victory of renewable energy and brownfield remediation. 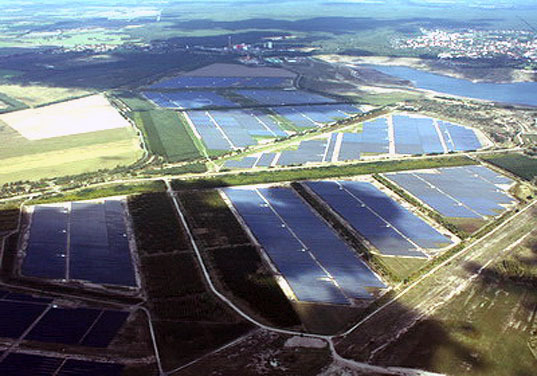 The below image shows a refurnished open pit mine in Germany that is now one of the world’s largest PV plants at 166MW. This site would have otherwise been left uninhabitable for any purpose. Have you ever wanted to know the 20 year history of climate change negotiations but only had a minute-and-a-half to understand it. Well, you are in luck. Enjoy! Many of you have been asking what the difference is between regulatory approaches and market based solutions to carbon emissions. The answer is fairly simply but depends on what you want the outcome to be. The whole question can be boiled down to: Tax or Trade? A carbon tax is a pure price instrument that establishes a certain price on pollution. 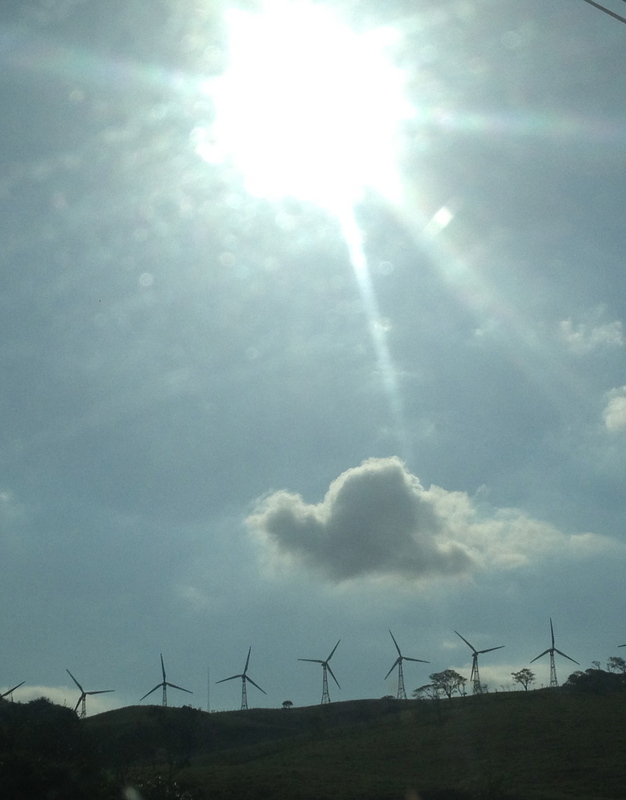 While the price is guaranteed, the final emissions reduction is not. For example, a $5 tax/ ton on CO2 emissions for a firm that pollutes 100 tons of CO2/ year would cost the firm $500. This policy creates certainty for businesses and governments, but leaves uncertain the amount of emissions reduction. On the other hand, a cap-and-trade system (or quantity instrument) determines the final output of allowed emissions, but leaves the price uncertain. In a certain year where polluters find it hard or costly to reduce emissions, the price of each credit would rise as companies bid up the price of the allowance. In a different year, the price of the credits might fall as many industries would have a surplus of their pollution credits available on the market. As companies find it harder to meet the required pollution allowances, the price of each credit would increase with demand. Every so often credits would be removed from the market in order to achieve the desired level of emissions. So which one is better? Depends. It all depends on what the predicted damage costs are. If the marginal damage costs are high, then it is better to use a quantity mechanism because you know the level of pollution output. The market will set the rate. If the marginal damage costs are low, and policy makers are worried about the high costs of transition to a low-carbon economy, then a price mechanism would be the better option because it would provide more clarity to the business community when making future investment decision. Hit me back and let me know your thoughts.